WeWork’s sale of ‘junk’ bonds raised $702 million to fuel ongoing growth. A new metric called ‘community adjusted EBITDA’ stumped analysts, but it’s not unusual for companies to invent terminology that flatters their numbers. Jonathan Price, financial expert for the flexible workspace industry, explains WeWork’s approach and why investors are rushing to fuel its ongoing growth. Last week, we learned that workspace giant WeWork raised a further $702 million to fuel its global expansion. The announcement sparked a tumultuous reaction. WeWork raised the capital by selling high yield bonds, which required it to publicise its 2016-2017 accounts in fine detail. 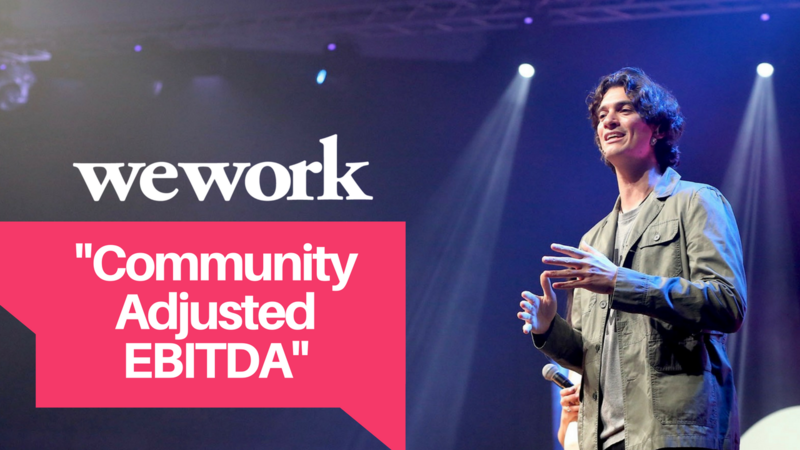 Among the reasons for the ensuing reaction is the controversial financial metric called ‘community adjusted EBITDA’ — a non-GAAP measure which appeared on WeWork’s bond offering documents. “I’ve never seen the phrase ‘community adjusted EBITDA’ in my life,” said Adam Cohen, founder of bond research company Covenant Review, in an interview with WSJ. This particular metric helps to position WeWork’s balance sheets in a more favourable light. And although it is controversial, it’s not the first time a company has used unusual terms when presenting their balance sheets. “It’s actually quite common for companies, when announcing results, to use adjusted numbers in their publicity,” says Jonathan Price, an investment management consultant for the flexible workspace industry. “Companies do this when unadjusted numbers don’t suit them. When Regus first floated, it used new metrics that we weren’t familiar with. It pioneered the term ‘return on available workstations’, which was brand new at the time! Even so, the strategy appears to have worked. It’s no secret that WeWork is burning through cash faster than it is generating revenue. Its documents show that while revenue in 2017 doubled, its operating costs are rising faster. And yet, the company has just smashed its initial $500 million target; the bond offering was five times over-subscribed and the rush of demand led to WeWork settling for the much higher figure of $702 million. But given the firm’s financial position, which is now wide open for all to see (albeit with some unconventional metrics), the question remains: why are investors so keen to plough money into a company that’s still a long way off balancing its accounts? In terms of “credibility”, this applies partly to the significance of its investors, which includes SoftBank. But it also relates to WeWork’s name and the nature of their business. WeWork centres are on the high street, people see them, recognise the brand, and they understand what they do. Still, why is WeWork, a company with a $20 billion valuation and huge investment rounds, reduced to selling so-called ‘junk’ bonds to raise capital? “Although they’re valued at $20 billion, they haven’t actually raised that amount,” Price explained. 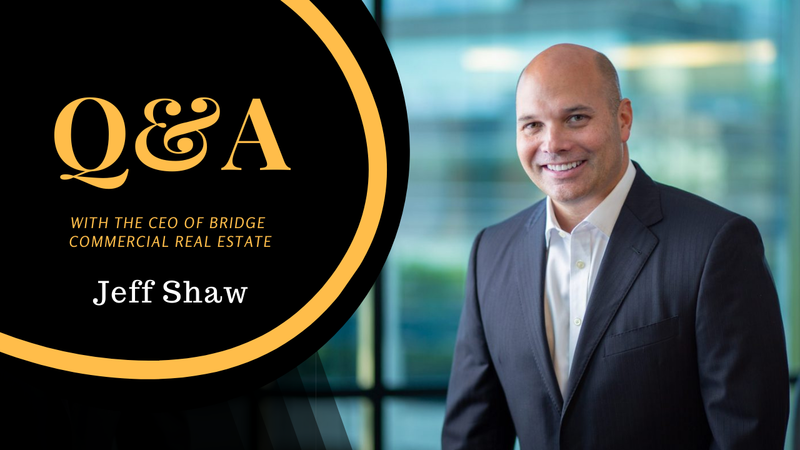 “When a company raises money, say 3 or 4 hundred million by placing new shares, the price at which those shares were placed is used to upvalue all the shares, thus valuing the business at $20 billion. They’ve actually raised a much smaller sum in cash terms. In just 8 years, WeWork has opened 345 buildings in 65 cities. It stands to reason that once the company takes its foot off the pedal, the revenue will (it hopes) begin to catch up with its crippling expenses. However, tied with WeWork’s 8-year growth spurt are other looming costs, such as the expiration of rent free periods. On the one hand, WeWork has offered its own rent-free deals to its new clients, as we found out during the ‘WeWork poaching saga’, which will increase membership revenue once those periods expire. However, on buildings it leases, WeWork itself will have negotiated rent-free deals for a number of years, and many of those will undoubtedly be nearing expiration, too. In balance, WeWork has sufficiently diversified over the years to ensure it’s not entirely at the mercy of its growth costs and real estate leases. Last year it bought a number of buildings – such as Lord & Taylor’s flagship property in New York and most recently, its joint acquisition of Devonshire Square in London, among others – which represent healthy assets. And let’s not forget WeWork’s other diverse business ventures. Its health club Rise By We, the wave pool business, its own music festival, and more. Crucially, WeWork has shown the world that corporates need flexible space as much as start-ups, and this is helping push up its revenues. Indeed, WeWork is now successfully bringing in more big-money, blue-chip companies. As of Q4 2016, enterprise companies make up 23% of its total membership, a significant jump from 9% in Q2 of the same year. The company said it needs at least 60% occupancy to cover the cost of each workspace location, and in 2017 occupancy reached 80% – an increase of 5% on 2016. This helps to paint a more positive picture of the workspace giant. What’s more, it has such an arsenal of investors behind it that they simply won’t want to see it fail. Add to that, despite WeWork’s denial that it’s a coworking company, it really is onto something. As we have seen time and again, the flexible workspace market has experienced incredible growth and is sustaining that growth across the world; Savills found that UK serviced office take-up increased by more than 150% in 2017, while CBRE discovered that the flexible office market has been growing at an average of 13% per annum over the last decade. With big-name brands like Facebook partnering with WeWork, it’s demonstrating the potential that exists within flexible space. They’re not always a good neighbour – they poach clients, under-cut on price and step on too many toes – but they’re showing the world what flexible space can do. If nothing else, the massive rush to buy WeWork bonds is evident of the thirst for what it – and the wider sector – can offer. You don’t need to invent new terms for your balance sheet to see that. Jonathan Price entered the flexible workspace industry in September 1999 as a financier, and set up the world’s first public fund for investing in business centres in 2005 with Close Brothers. He is now a consultant, a lecturer at the London School of Business & Finance, and a non-executive director of a business centre company in the UK.